A community has slammed the alleged theft of a much-loved statue at the height of Storm Ophelia as "disgusting". The Mother and Child statue was taken from its plinth in Finglas village in Dublin on Monday afternoon after a tree fell, loosening the statue on its plinth. Fianna Fáil councillor Paul McAuliffe told Independent.ie the community is "disgusted" by the theft. The statue, by artist Elizabeth McLaughlin, has been a landmark in the Finglas area since 1996 and takes pride of place in the community. Witnesses in the nieghbourhood claimed they saw three men taking the statue, "before putting it into the back of a grey van." The alleged theft occurred as Storm Ophelia wreaked havoc in the area. "I reported the fallen tree to the council and they said they'd get to it later in the day," Cllr McAuliffe said. "I wrote it up on Facebook, just letting people know so they didn't have to worry about it. "Then I started getting reports that the statue had been taken." Cllr McAuliffe said gardaí have been informed of the bronze statue's theft, but he understands it is not currently a priority as emergency services are tending to the aftermath of Ophelia. "I would just plead with whoever has the statue to bring it back," he said. "Whatever monetary value it is worth to you, it is worth 10 times that to the community in sentamentality. "This is a statue that the community had moved so it could be appreciated by the whole village, and have cared for it since." Cllr McAuliffe said he initially hoped the statue would be discovered under the fallen trees, but a colleague has since visited the area and confirmed its absence. "While everyone else is looking after each other, people are taking advantage of the community," he said. 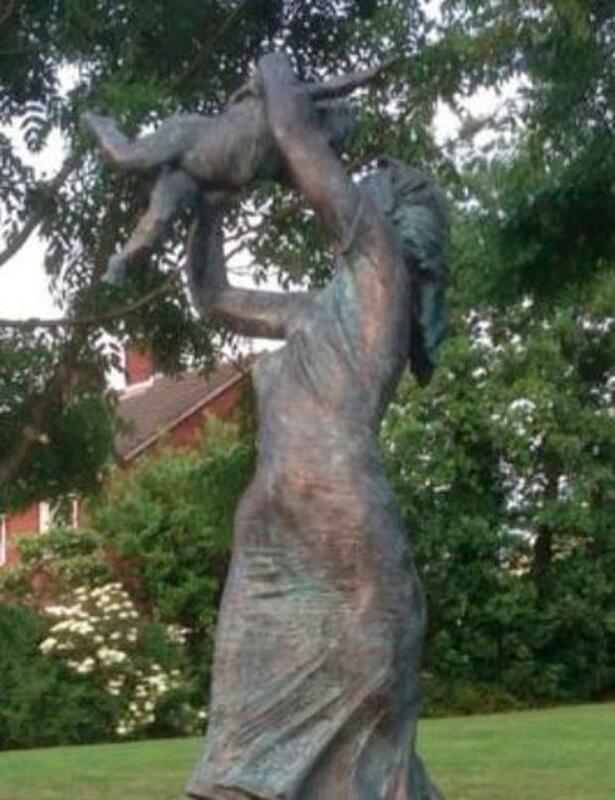 Meanwhile, Fine Gael TD for Dublin North West Noel Rock has also described the alleged robbery of the Mother and Child statue in Finglas village as "despicable". He is urging anyone with information relating to the incident to contact Gardaí. "A number of men were seen putting the statue into a vehicle, though Dublin City Council has stated that the men were not part of a Council work crew," Mr Rock said. "The report that this statue, which takes pride of place in Finglas village, has been potentially stolen concerns me greatly. Especially during a period where people across the country were looking out for themselves, their families and their communities; it pains me to imagine that people have potentially taken advantage of this. "There is of course the possibility that this was the act of a Good Samaritan who saw the statue knocked off its base and decided to retrieve it for safe keeping - however it remains a mystery as to why they wouldn't inform the owners of the statue in that case." Gardaí are investigating the matter.